We knew there were new Google phones on the way, and we had been assuming for a while that they would be Nexus phones as usual, but it turns out Google is planning to expand the Pixel hardware line and do away with the Nexus line altogether. And, the announcement of the new phones and other products may happen October 4th. The two new phones, previously known as Marlin and Sailfish, will reportedly launch under the names Pixel and Pixel XL, and most of the other information we had on the devices appears to be the same. 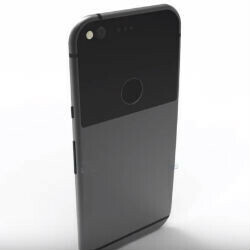 The Pixel (née Sailfish) will feature a 5-inch display and be a bit less expensive, while the Pixel XL (née Marlin) will have a 5.5-inch display and be a bit more premium. A less likely new rumor is that the devices may even be marketed as the first phones built by Google, but all of the info we've ever seen still points to HTC being the actual manufacturer of the devices, so we'll have to see on that. Of course, the two new phones aren't the only devices Google will be announcing. The Google Home assistant will also be part of the festivities, as will a 4K-capable Chromecast that could be called either the Chromecast Plus or Chromecast Ultra, and Google is also expected to announce its Daydream VR viewer device/headset as well. We don't know yet what time or where Google will do the announcement, but San Francisco seems a high likelihood. So, set your calendars for October 4th as the next big Google day. Nexus changed to Pixel? Nothing difference. Or should they called Nexus X or Nexus XL? Silver phones project changed to pixel phones. So, is huawei launch nexus again? They don't currently that we know of, however there was a story that a Huawei rep said they were doing another Nexus. At the time when everyone thought HTC was making new Nexus phones, they assumed maybe Huawei would be doing a tablet, like a Nexus 7 2013 sequel. But, now that these devices are going to be Pixel phones, there is still the possibility that Huawei would be doing a Nexus phone. They did trademarks the 7p name. So it is possible that the Pixel line won't replace the Nexus, just be a different line. But it's all speculation at this point. As for the Android Silver program, I think what he meant was that when it was rumored, the Silver program was supposed to replace the Nexus program. That didn't happen, but if they're actually replacing the Nexus program now, then it will be the Pixel that replaces it instead of the Silver program. this is could just another line in addition to the nexus, hopefully. You could've added that it appears that Project Ara was cancelled (as per the Verge)......but whatevs. Pixel sounds kinda lame though :|. I prefer the Nexus name but Pixel is also cool enough. Well, the point of the Nexus phone is to showcase stock Android, and the Pixel allegedly has software customization not found in stock Android, so the name change makes sense. I for one am very interested to see what the Pixel XL is all about. I wouldn't have given up my Nexus 6P for a new Nexus, but if Google gives me enough of a compelling reason to get this phone, I will. These things better perform well to make up for dropping a cool name like Nexus. This move kinda baffles me actually...they must be smoking something funky at HQ lol. Isn't that the rumor? But regardless, that would still fall inline more so than this does. The Surface line is their top end hardware, so a Surface phone would be just that, their top end, no compromise phone. Whereas the Pixel line was designed and prototyped by Google, then handed off to a manufacturing company to build off that prototype. Essentially the same thing Apple does with the iPhone, they can say it was 100% designed by Apple, but assembled by someone else. This appears to be the same as Nexus in terms of development. The design is reminiscent of the HTC 10, with a few tweaks, just like the Nexus has been done. The only difference is no OEM branding. Even the Android blogs are questioning this. It's essentially the Nexus with a new name, no OEM branding, and if rumors are true, it will have a software overlay (aka skin) and be sold through carriers. Between the skin and carrier involvement, that eliminates the 2 big advantages of the Nexus line, completely stock Android (AOSP + Google's services suite) and quick updates. The other issue is the price. Pixel devices are known for a high price tag, and rumored prices are $499 for the Pixel and $599 for the Pixel XL. They're essentially following the route of HTC, Samsung, LG, etc. So why would I consider one of these over one of those? Nexus run "stock" Android, which is Google's "skin" of AOSP The Pixel phone would run "stock" Android, like the Pixel C Updates change wont If anything, I'd epect more updates since Google has more control now and there's the maintance patches Nexus pricing has been all over the place, any where from $350-650 The Chromebook Pixel was really overpriced The Pixel C was the same price as the iPad Air 2, but with newer/better specs So hard to tell what price will be IMO $500 for the Pixel and $600 for the Pixel XL is likely Given the Note7 and 7 Plus will be $800, I doubt the Pixel will be lower than $450 Like recent Nexus phones, price isnt a major selling point of any more If you want best value, get one of those Chinese phones If you want best support, get a Pixel or a iPhone If you want more features, get a HTC, Samsung, LG, etc. The fact that they're talking about an actual software overlay (aka skin) means it will be different than what we have seen on Nexus devices, otherwise why mention it. How does Google have more control now than they did with the Nexus devices? With the Nexus devices, the OEMs were only a hardware partner. They had nothing to do with the updates, those came solely from Google. And in the case of these phones, the Pixel and pixel XL, HTC is still essentially a hardware partner, only there will be no branding on them like their would be on a Nexus phone. Yes it has been, but look at where it's come from to where it is now. The first three Nexus devices, the One, the S, and the Galaxy Nexus were all priced about the same as comparable phones, usually in the $500+ range then they dropped the prices on the Nexus 4 and 5 (and also both Nexus 7s as well) so that they were barely making a profit on them, to get them in more hands. Then for the Nexus 6, the price shot way up to $600+, and there was a backlash from people used to the prices ng on the 4 and 5. Last year the prices came down, to $380 and $500. So taking them back up again may have the same backlash as it did with the N6, except they've also downgraded them in some ways. Smaller screens, single bottom firing speakers, a slight RAM increase. So for them to do that and raise the price is a little ridiculous. Those are all good points, the only thing is, with this being a new brand, we have no idea what the support will be like, and considering they're doing things like selling though carriers that they've done a few times with limited success, who knows for certain what we're looking at. Maybe everything will be fine, but I'm reluctant until I see it laid out. Do you mean you haven't heard they plan to use an overlay on these pixel devices? Let me see if I can explain this a better way. On one of the sites talking about the phones changing to the Pixel name, that another change would be the use of a software overlay. Now, the fact that they mentioned that means it's not something we've seen on a Nexus phone, otherwise why say that? It would be like Apple saying the next iPhone would come with a touchscreen. So it's apparently different that what we've seen thus far. The only problems the chip makers caused in terms of updates was if they still got updates later on, like towards the end of the 2 year cutoff. In terms of updates problems during the 2 year period, that fell on the carriers alone, most specifically Verizon. The 5x didn't even have stereo speakers for one thing, and no, the 810 wasn't terrible, at least not in the 6p it isn't. How can the same thing he said for the Note7? It has always been the spendiest model from Samsung, and that's saying skmething since Samsung flagships have never been know for affordability. I usually upgrade my phones every year, sometimes twice in one year, and I've always bought them outright, so that's not an issue for me. But I am saying that they may put themselves in the same position they have now with the Pixel C, they're getting quite a bit for it and from all accounts it's not selling well. It's not really a smart model to to pattern your phomes after. And from what I'm seeing, in terms of benefits over a least year's Nexus line, I'm not seeing anything other than the usual processor/RAM upgrades that we see every year. Otherwise they dropped stereo speakers completely, made the screen in both models smaller than last year and according to sources the phones are physically bigger than last year's Nexus phones as well. So take those things into account, and add that they're increasing the price in spite of those drawbacks. That's my point. Why would they mention it if it was the same thing as before? Apparently they overlay on the Pixel phones is going to be something different and from the rumors, more invasive. In other words, it will be more different and further away from AOSP than what has been on a Nexus device. Actually no, here is an article on the prices for the Note 4, ranging from $699 to $825 off contract.http://m.androidcentral.com/buying-galaxy-note-4-contract-america And here is one for the Note5, with prices ranging from $699 to $940 off contract.http://m.androidcentral.com/heres-where-you-can-buy-samsung-galaxy-note-5-and-galaxy-s6-edge So as you can see, the Note series for the past 2 years have been $700 minimum, and all the way up to $940. As far as the Nexus series, the point was after the N4 and 5, people balked at the price of the Nexus 6, which debuted at $649 for the base storage of 32GB. The following year, they split the prices, putting the 5x near to the pricing of the N4 and 5 at $380, and put the 6p pricing near the N6 with the base storage going for $599. But other than going with a smaller screen and losing wireless charging, everything else was an upgrade, and managed to come in $50 lower. No, it doesn't destroy the 6p's speakers. It has slightly more bass, but a so called subwoofer on any device is an oxymoron. I've had laptops with these so called subwoofers in them and a good pair of full range speakers in other laptops gave superior sound. Considering the size of the speakers we're talking about here, I'd rather have the speakers be louder rather than try to recreate bass that they never will. As for the other things you mentioned, those upgrades are no greater than any other device from year to year. But a screen only .2" smaller and a insignificantly larger battery won't make hardly any difference. That will fall solely on the CPU, and from what we've seen out of the 820 so far, the differences aren't that significant. Is there a possibility that these devices will be better and things on the support side will be fine? Sure there is. But it's not a given by any stretch of the imagination. Not every new model is apparently better than the previous. Look at the 5x vs the 5 to see that. It had a few things going for it. But most N5 users didn't see it as a meaningful enough upgrade to warrant switching. That's saying something considering a 2 year difference in tech between the two models. So while everything may be ok, I'm going to take a skeptical stance here because I'm just not seeing benefits of this switch. And I'm not alone. Most all of the Android blogs, including the one who broke this story, are confused by Google's reasoning here. Why pattern their devices after a line of devices that aren't exactly setting the world on fire. The Nexus series has a larger following than the Pixel does, so name recognition isn't beneficial here. Maybe it'll be fine, but I'm not convinced yet. so thats it. HTC made the first nexus, then now its HTC again who will start and make the first PIXEL phone for google. Can't wait for the Galaxy Pixel!! What about the 7 inch tablet?